Here are some great biographies for Grades 3 to 6, part of both the Reading and Writing curricula. 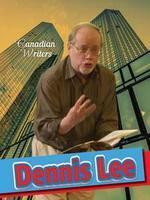 Weigl’s Canadian Writers Series is aimed specifically at students writing a biography, and it includes Dennis Lee, Gordon Korman (whose first book was an English assignment, mailed to the Scholastic Arrow Book Club address, at age 12), Jean Little, and Melanie Watt. Each book is organized in a way that students can see how a biography might be structured (e.g., Introduction, School Years, Early Writing, Successes, etc.) and includes writing prompts, creative writing tips from the author, and a quiz. Weigl has other series: Canadian Explorer, Canadian Prime Minister and Aboriginal Biography. These also teach the format of a biography along with a concept web and Internet resources. Grades 4–6. 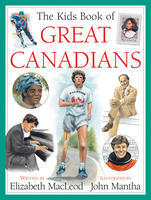 The Scholastic Canada Biographies, by Maxine Trottier, with various illustrators, does it differently with each book highlighting five figures in each of the following: Artists, Explorers, Stars (e.g., Mike Meyers, Celine Dion), Pioneers, Heroes, Leaders (e.g., Pierre Trudeau), Greats (e.g., Billy Bishop), and Inventors. The format includes short chapters with photos, drawings, images of artifacts, and posters of the time. Grades 4–6. Elizabeth MacLeod has a knack for choosing just the right facts to keep the reader engaged in Kids Can Press’s biographical series about artists, inventors, and scientists. For example, in Alexander Graham Bell: An Inventive Life, MacLeod tells of Bell’s early sound experiments in which he massaged his dog’s vocal cords to say, “How are you, grandmama?” Lucy Maud Montgomery: A Writer's Life is also a wonderful read. Grades 3–6. The Kids Book of Great Canadians, also by Elizabeth MacLeod, illustrated by John Mantha, is chockablock with bite-size bios and fact boxes. Divided into explorers, scientists, artists, government, sports, and Nobel This series is a great springboard for further research. There’s also The Kids Book of Great Canadian Women, by the same author and illustrator, and The Kids Book of Black Canadian History, by Rosemary Sadlier, illustrated by Quijun Wang. Grades 3–6. Lorimer’s Record Books series comprises inspirational tuck-in-your-back-pocket paperbacks with a smattering of black and white photos. Titles include Annaleise Carr: How I Conquered Lake Ontario to Help Kids Battling Cancer, by Annaleise Carr as told to Deborah Ellis, (nominated for the Silver Birch Award), Knockout! How "Little Giant" Tommy Burns Became the World Heavyweight Champion Overcame Poverty and Always Looked Out for the Underdog, by Rebecca Sjonger, and Champion for Health: How Clara Hughes Fought Depression to Win Olympic Gold, by Richard Brignall. Grades 4–12. Saunders’ Canada's Hockey Greats series by Press Box Books will inspire kids to write biographies. The first page drops the reader into a tense moment or game in the player’s career, and is then followed up with background information and a chronology of events in manageable chapters, text boxes, and photos. At the back is a timeline, “at a glance” career bullet points, glossary, and website/book lists for further research. Titles include Hayley Wickenheiser, Jonathan Toews, and Sidney Crosby. Grades 4–6. Kids Who Rule: The Remarkable Lives of Five Child Monarchs, by Charis Cotter, is a compelling read. Nominated for the Silver Birch Award, this book chronicles the fascinating foreign existences of King Tut, Mary Queen of Scotland (engaged to be married at age four), two-year-old Puyi, emperor of China, who spent his life in the Forbidden City, as well as the Dalai Lama’s unique childhood. Grades 5–6. The 10 series includes Greatest Canadian Female Trailblazers by Rose Fine-Meyer and The 10 Most Inspiring Canadians by Kathryn L. Whitfield. Today’s visual learner will love the large glossy format, full-colour photos, and quick facts. Each book counts down with a four-page spread for each of the chosen 10. There's just enough information, along with some higher-level thinking questions to inspire further inquiry. Grades 4–6. The Capstone Pebble Plus Canadian Biography series, for the younger crowd, includes Patrick Chan, Terry Fox, Chris Hadfield, Stephen Harper, Robert Munsch, Carey Price, and Barbara Reid. Three to four sentences per page and an accompanying photo place events on a cumulative timeline—perfect for teaching research. Grades 1–3. Fitzhenry & Whiteside's Larger Than Life series includes famous Canadians Tim Horton, Rick Hansen, and Robert Munsch. Great for in-depth research (and a good read). Did you know that Paperbag Princess and Love You Forever are the bestselling books ever written by a Canadian author, selling 1 million copies each year? Grades 4–6. 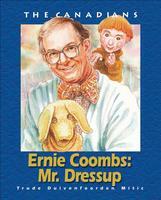 Fitzhenry and Whiteside’s series, The Canadians, includes titles such as Ernie Coombs, Joseph Brant, Tommy Douglas, and Alexander Graham Bell. Grade 6. Second Story Press’s First Nations series includes Environmentalists, Musicians, Great Women and Men, and Athletes. Short chapters with black and white photos. Grade 6. 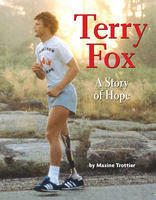 In Terry Fox: A Story of Hope, by Maxine Trottier, old family photos make the story personal and poignant. Grade 2+. 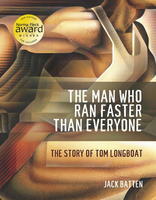 The Man Who Ran Faster Than Everyone: The Story of Tom Longboat, by Jack Batten, is an interesting in-depth look at the life of this long-distance runner (and member of the Onondaga Nation) who broke records and ran in the 1908 Olympics. Grade 6+. 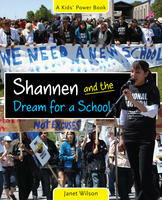 Shannen and the Dream of a School is the compelling true story of Shannen Koostachin, the Northern Ontario girl who raised global awareness of the Attawapiskat First Nations’ fight to get a new school after a fuel spill. It anchors the reader in a story before introducing facts that might otherwise be less meaningful to a young reader. Also by Janet Wilson, Severn and the Day She Silenced the World is the story of David Suzuki’s daughter’s environmental path which led her to speak to world leaders in 1992. Grades 4–6. 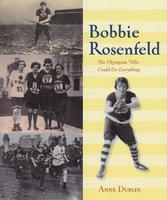 Bobbie Rosenfeld: The Olympian Who Could Do Everything, by Anne Dublin, reads like a novel about a girl who defied views about women. Immigrating to Barrie with her family in the 1920s, Rosenfeld's incredible athletic skills led her to become one of six women in the 1928 Olympics. Grade 6. 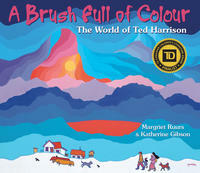 A Brush Full of Colour: The World of Ted Harrison, by Margariet Ruurs & Katherine Gibson (a past Silver Birch Award nominee) reads like a picture book about the development of Harrison's distinctive style. The book includes key paintings and thought-provoking questions. Grades 4–6. 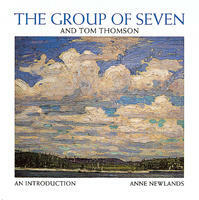 In The Group of Seven and Tom Thomson: An Introduction, by Ann Newlands, each painter’s background is accompanied by paintings to illustrate the Group's collective style. Grade 6. 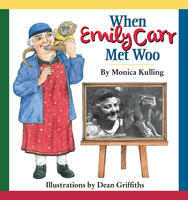 When Emily Carr Met Woo, by Monica Kulling, illustrated by Dean Griffiths, is a picture book about Carr’s beloved pet monkey and how he almost died after eating some paint. An afterword gives an overview of Carr's life and career. Grades K–4. 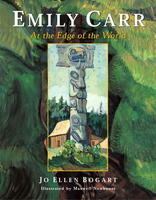 Emily Carr: At the Edge of the World, by Jo Ellen Bogart, illustrated by Maxwell Newhouse, is a great read-aloud. Grade 5+. 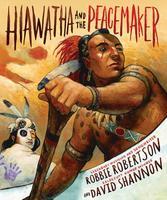 Hiawatha and the Peacemaker, by Robbie Robertson, illustrated by David Shannon, includes a CD of the story of how the Six Nations Iroquois Confederacy was formed. The Peacemaker was a spiritual leader with a stutter who wanted to unite the five nations of Iroquois people so he took along Hiawatha, a great speaker. The consensus decision-making council of the Six Nations was used as a role model and is said to have influenced Benjamin Franklin and others who wrote the US Constitution. 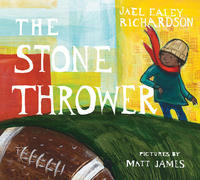 The Stone Thrower, by Jael Ealey Richardson, illustrated by Matt James, is the childhood story of Chuck Ealey, the first Black quarterback to win the Grey Cup. Ealey's stone throwing helped to lead him out of poverty and a difficult upbringing. Grades 1–4. 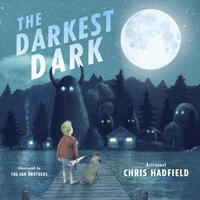 The Darkest Dark, by Chris Hadfield, illustrated by the Fan Brothers, is a Blue Spruce Award-winning tale of how the astronaut overcame his fear of the dark, inspired by Neil Armstrong’s walk on the moon. Grades 1–3. 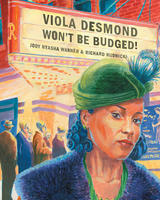 Viola Desmond Won't Be Budged!, by Jody Nyasha Warner, illustrated by Richard Rudnicki, tells of Desmond being arrested after refusing to move to the rear of a movie theatre. The book features gripping illustrations and a relaxed story-telling style, with a one-page synopsis describing Desmond’s role in African Canadian history. Grades 1-4. Boy in Motion: Rick Hansen’s Story, by Ainslee Manson, illustrated by Renne Benoit, recounts the accident that put Rick Hansen in a wheelchair and the subsequent events that lead to his Man in Motion Tour. Grades 3–5. All Aboard! 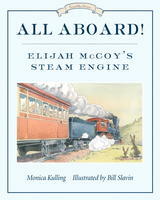 Elijah McCoy's Steam Engine is the story of McCoy’s life as an inventor and how he made train travel faster and safer in the late 1800s. By Monica Kulling, illustrated by Bill Slavin, this book is part of the Tundra Books series that illustrates biographical stories. Grades 1–4. 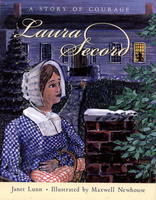 Laura Secord, by Janet Lunn, illustrated by Maxwell Newhouse, is the story of Secord's role in War of 1812. With her husband wounded, Secord overheard American soldiers plotting an attack and walked 20 miles through the night to warn the Canadian army. Biographical info follows in the epilogue. Grades 2–4. 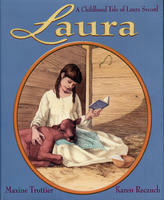 Laura: A Childhood Tale of Laura Secord, by Maxine Trottier, illustrated by Karen Reczuch, is a good companion piece to the previous book, about Laura bravely helping her beloved cow who has given birth deep in the forest. Grades 1–4. 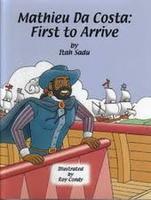 Mathieu Da Costa: First to Arrive, by Itah Sadu, illustrated by Roy Condy, is a song in book form (with CD) about the first free African in Canada. Da Costa worked as a translator between natives and early explorers such as Samuel de Champlain. Learn how five Canadian entertainers traveled the road to fame and fortune. Included are the lives of Celine Dion, Michael J. Fox, Tom Jackson, Mike Myers and Shania Twain. This book is packed with photographs and written for 7- to 9-year olds to read themselves.